Unfortunately, this week the Men's March Medal was washed out by the weather, we tried to get them out, but the course closed itself and you know if we're shut then so it everybody else. So that only leaves this Sunday's Final Round of the Men's Winter League. The final round format is always the dreaded 'aggregate medal' which sort the men from the boys! All still to play for between a few pairings with the fantastic trophy being presented (and then filled up) on the Captain's Drive-in Sunday (Pictured - Bill Allison, last year's Winter League winner). The ladies this week paired up to play in the Coronation Foursomes Stableford and this week's triumphant pair were Lady Vice Captain and Diana Balsdon, with 38 points. Well played ladies. The Everrett Cup - Men's singles matchplay - £5 entry. The Brodie Helder - Men's foursomes matchplay - £10 per pair entry. The Bessle Edwards - Mixed foursomes matchplay - £10 per pair entry. Once you have added your names please head straight to the bar to pay for your entries and if you require a partner please let me know and I will do my best to fix you up. Good luck. We have a big weekend coming up both this weekend with The Captain's Farewell Bash (a separate email will come out with all details and timings) and Winter League, but the big one is the following weekend. The Men's Club Supper takes place on Friday, 17 March (still spaces available), The AGM takes place on Saturday, 18 March and the Men's Garrett Cup and Captain's Drive-In takes place on Sunday, 19 March. Always a great weekend so I look forward to seeing you up at the club. You now have only 10 days to get in to the shop and get your names on the board to give you chance of winning a set of custom fitted TaylorMade M2 irons (£2 per square or 10 for £10). The draw will be made at the presentation on Captain's Drive-in Sunday… Good luck! The sun has finally decided to show its face with the start of the season almost upon us. 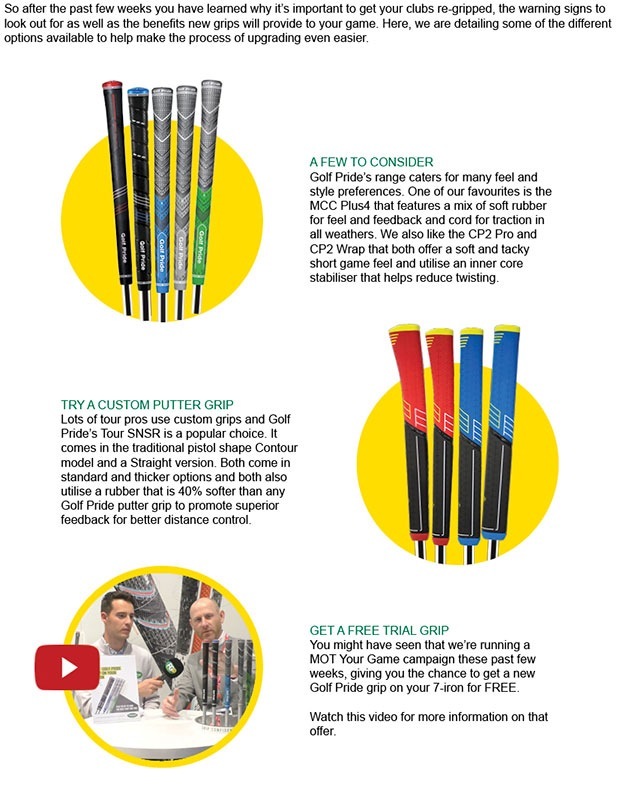 So why not treat yourself to some new golfing equipment to get you off and running? We have all the latest TaylorMade, Callaway, PING and Yonex demo equipment in for you to try or arrange a custom fit. To make life a little easier I am also again, after last year's success, launching the Spring Trade-in! Whether you would like to trade-in you old equipment that's sitting around at home against some brand spanking new irons or simply would like to build up the credit on your account. Bring it all in, however old (within reason) and we'll get a value for it! Click here to see our promotional poster for more details. Do You Want To Hit It Further? Well if so watch this video and see how it's done. I was called up last week by Lucas Dornan, who competes on the 'Longest Drive Tour' all over the world. He was asking to use the Swing Studio to practice after recovering from and injury. Injury or no injury, I've never seen anything like it. 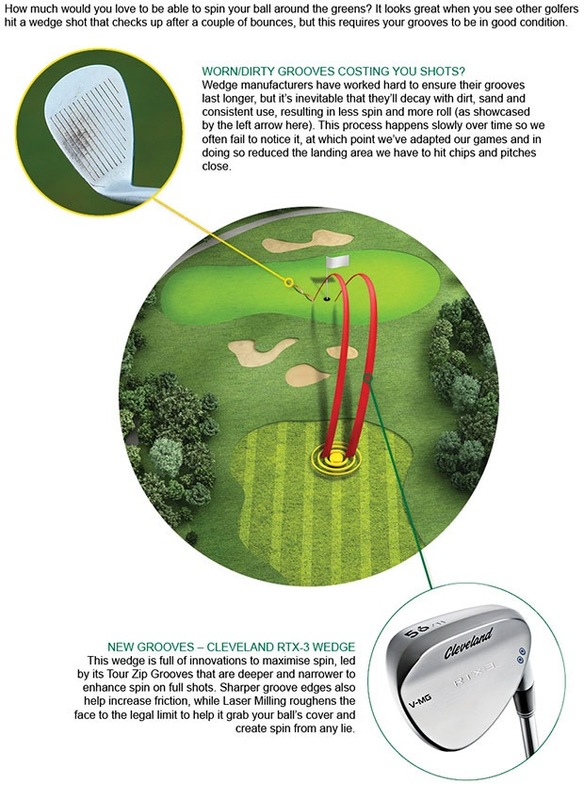 A Triple X stiff four degree driver generated 139mph, over 200mph ball speed resulting in one drive reaching a mere 397 yards! Very impressive to watch and the screen is still one piece if you want to have a go to beat him. Click here to watch our short video. What better to trade our unwanted clubs in for? Come and try ALL the latest Callaway kit next Thursday. There are still some spaces left so call the pro shop to book or click here to send us an email. Last week the R&A proposed some key changes to the Rules of Golf from 2019. Their Rules Modernisation initiative has been underway for a few years now and this is the next stage in that process. The aim is to not only make the Rules easier to understand, but also to address some of the game's current problems, such as speed of play, and ensure they fit the needs of today's game. Please spare a couple of minutes to complete our survey, which gives you the chance to have your say on the proposed changes. We've picked out some of the most significant Rules changes for you to digest in this survey, before giving you the chance to say whether you agree or disagree with each of them. It'll be great to know your thoughts. Do your wedges look like this?